Last week I shared with you my kids’ back to school shoe styles we purchased at Rack Room Shoes. They’re excited and all set for school, but unfortunately that’s not the case with many school kids across the country. Some head back to their local schools wearing shoes that are too small or literally falling apart at the seams. What if you could do something to help? Well, you can! 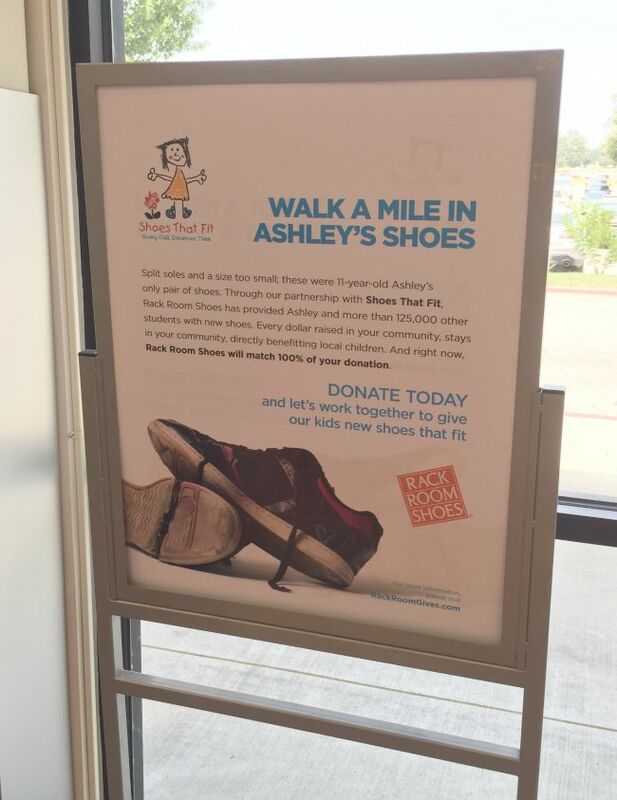 I’m excited to share with you about the Shoes That Fit campaign at Rack Room Shoes. The sign above is from our local Rack Room Shoes and it tells the story of an 11 year old girl named Ashley. With split soles and a size too small, that’s all she had for shoes. My son is 11 years old and he has enough shoes to share with at least five kids. Imagining Ashley heading back to school, excited for what the year holds, but with shoes that aren’t working for her, but against her – makes me want to do what I can to help. What can we do? All it takes is making a donation at the register upon check-out or online at RackRoomShoes.com. What is Shoes That Fit all about? 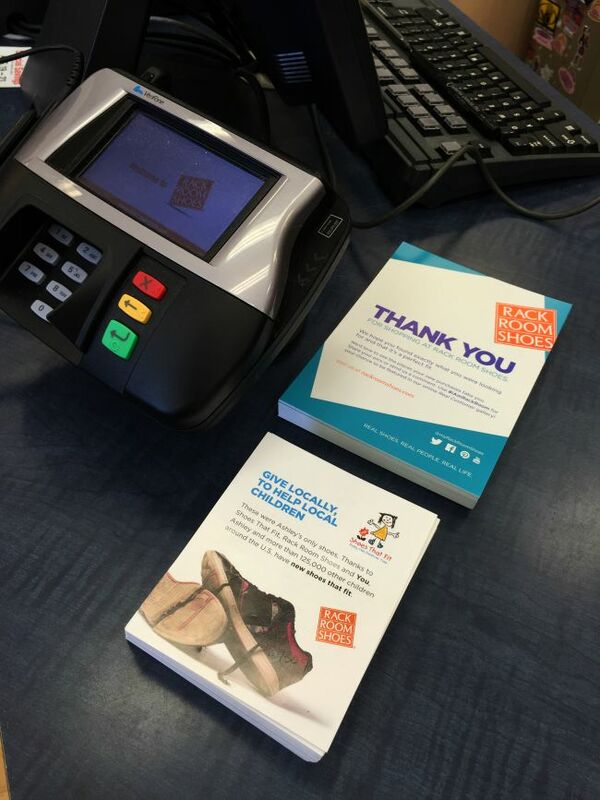 Over the last 2 years, Rack Room Shoes has donated more than $1 million to the Shoes That Fit campaign. To donate online, simply choose your amount. Add it to your bag. Check out. Easy peasy. Now, sit back and know there’s a child in your local area who will have a new pair of shoes for back to school. It’s easy to think that our neighbors don’t struggle with purchasing their kids a pair of shoes that fit, but I’m afraid it happens way more than we realize. I get so wrapped up in my life and what my kids need/want that I tend to forget about that family who just needs the basic necessities. Will you help me in doing something about this? Donate today in store or online. Thank you! !